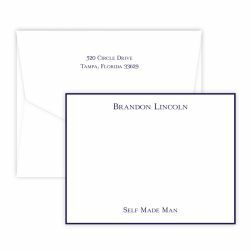 The bordered Colonial Chesapeake Card - Raised Ink features your name and printed border - all in a shiny, raised ink color of your choice. 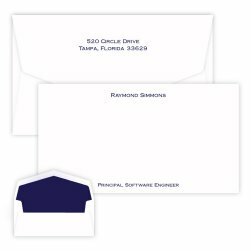 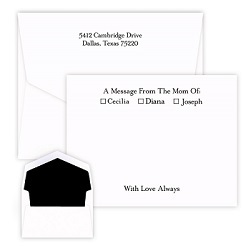 Customize this large, flat stationery card further with a selection of 10 lettering styles and vertical or horizontal formatting. 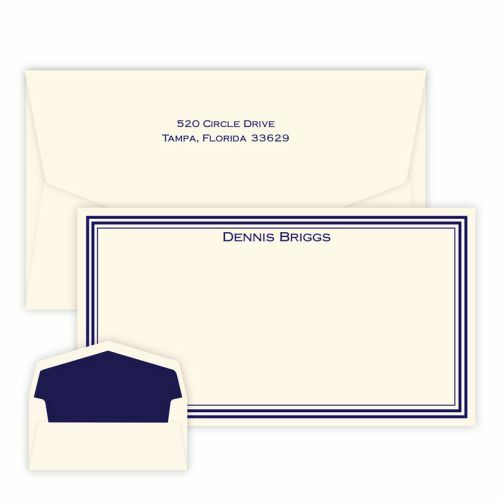 You'll be excited to send your next correspondence the minute your package arrives.